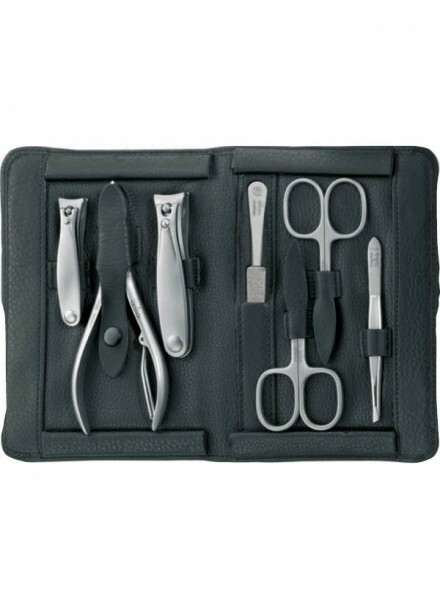 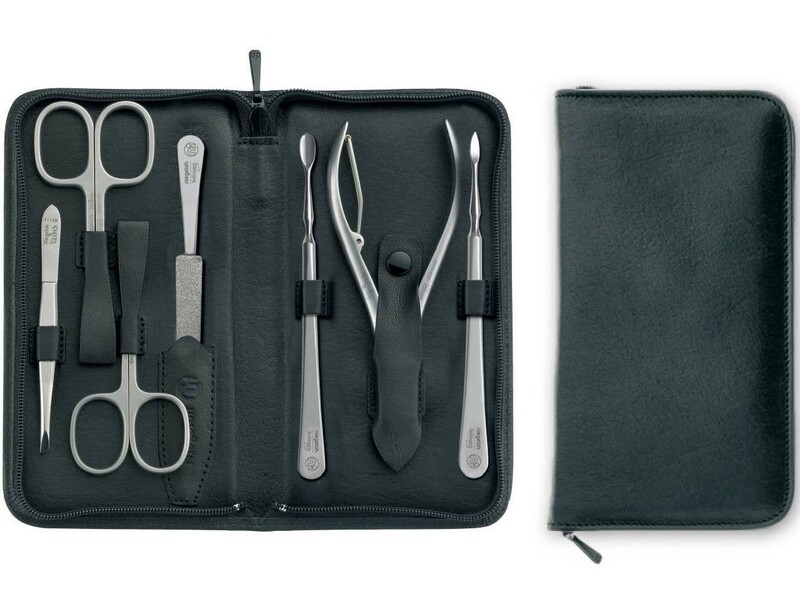 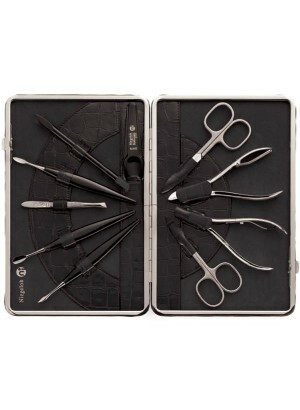 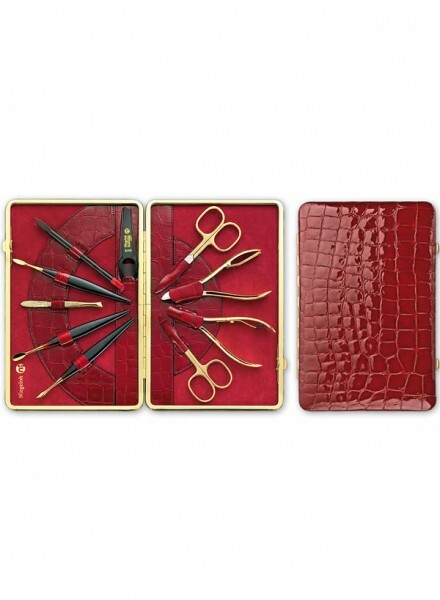 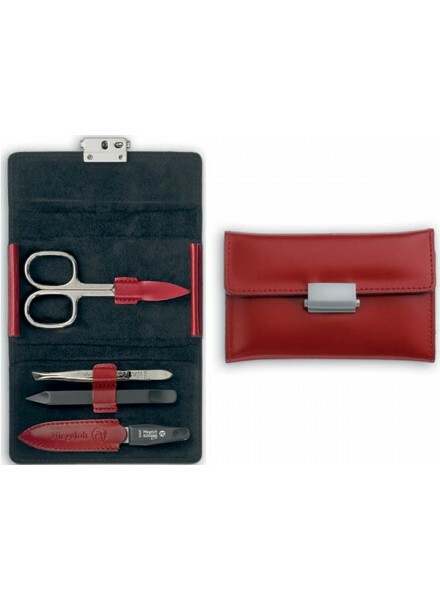 Nevada line of Niegeloh manicure sets is distinguished by top notch quality of its instruments and praiseworthy, glove-soft leather case. 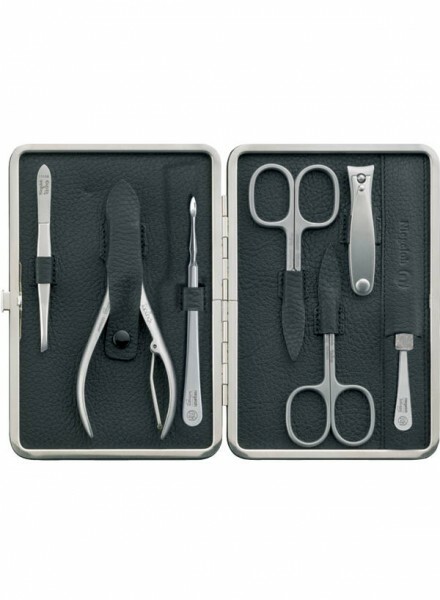 Stainless steel Topinox is specially tempered and distinguished by super sharp cutting edge that stays sharp over many years of regular use. 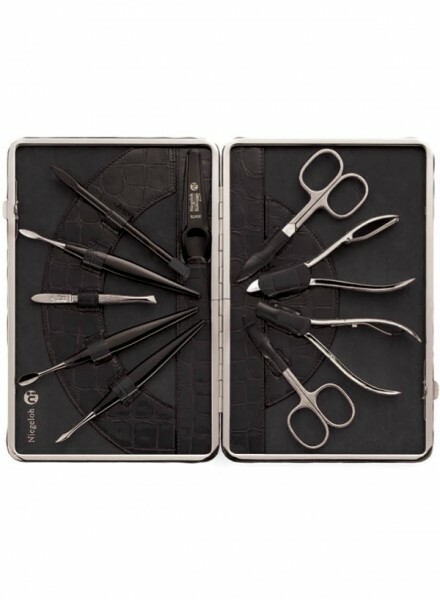 Topinox represents Niegeloh's best in professional quality and uses special steel DIN1.4034 which has been approved for decades in the finest surgical instruments. The tips of Topinox scissors have gone through up to 18 precision grinding steps to ensure they cut evenly and smoothly. 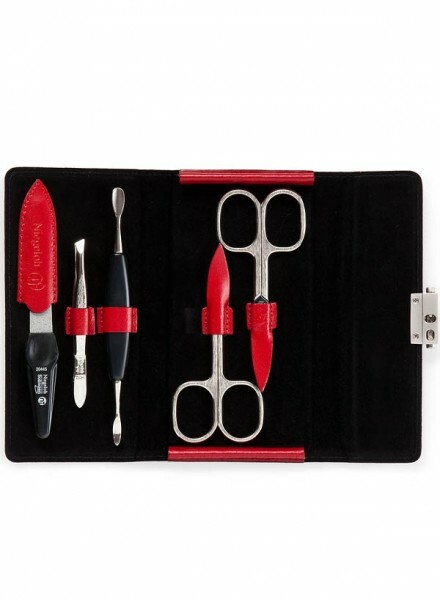 Each pair of Topinox scissors has a gold-plated screw which highlights durability and exclusive quality. 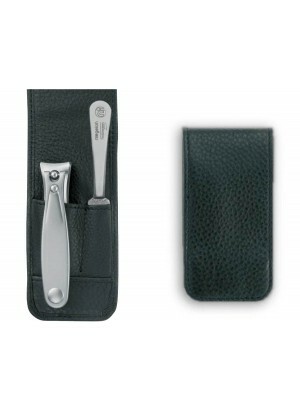 Nevada is crafted by hand in Solingen (Germany) which means that is will perform exceptionally for a lifetime, always pleasing with a sharp edge and immaculate precision. 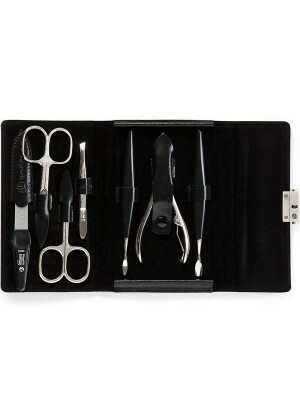 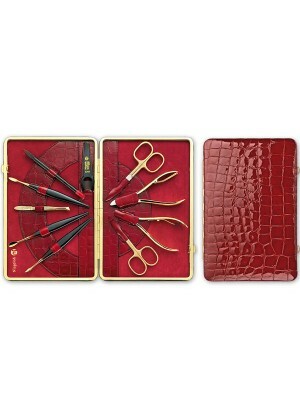 This is a perfect gift set for someone who is looking for top quality nail tools for easy and consistent nail grooming. Material: Topinox stainless steel with noble satin finish. 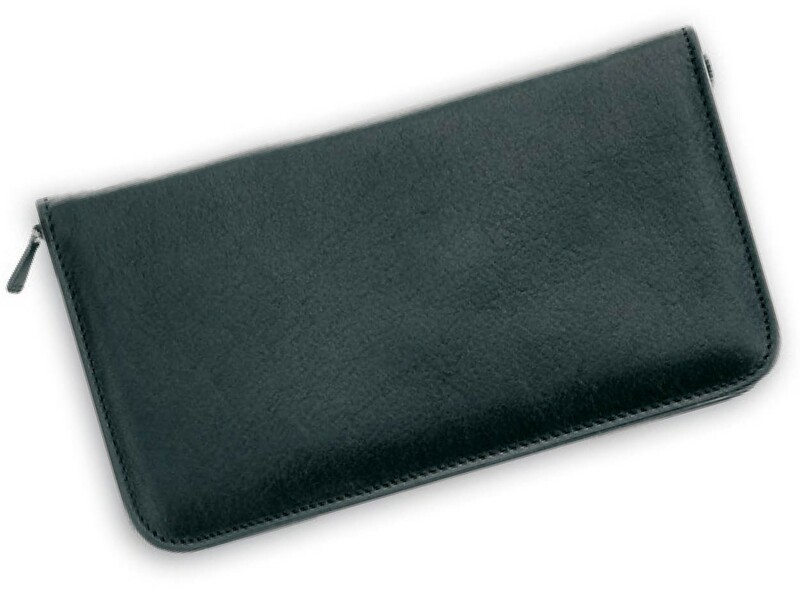 Topinox is rust-free, nickel-free and sterilisable. 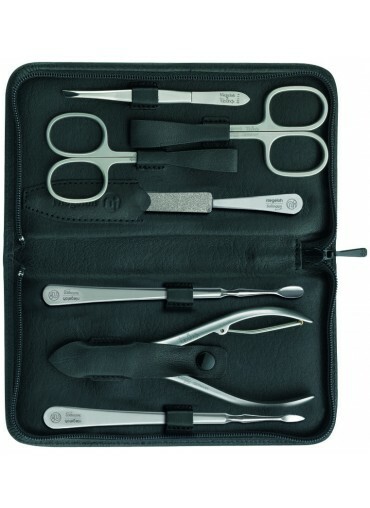 Number of instruments: 7 (Nail scissors, cuticle scissors, slanted tweezers, nail nipper, stainless steel nail file, cuticle pusher, nail cleaner). 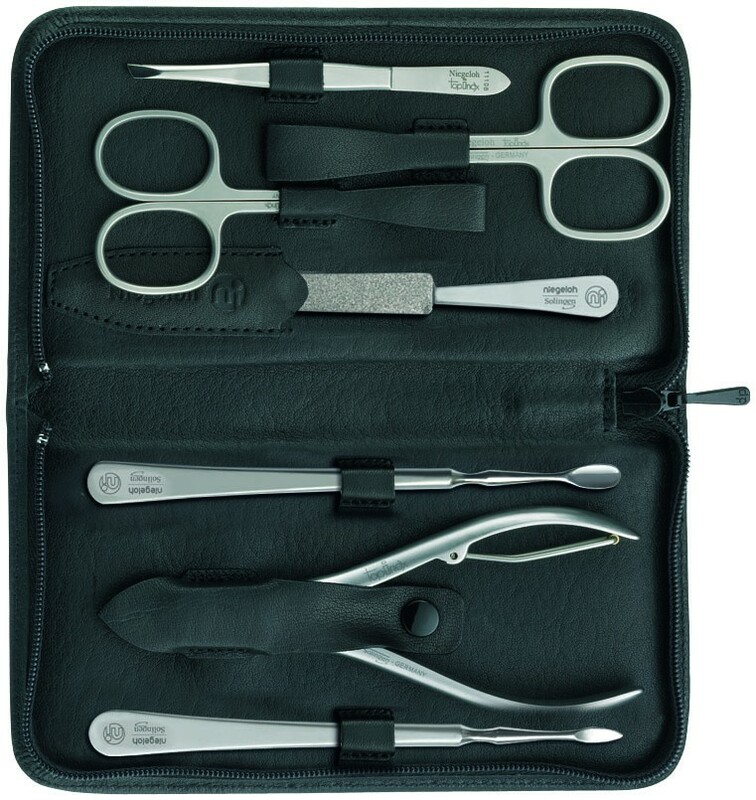 About manufacturer: Niegeloh Solingen puts quality first and brings innovative approaches to making the finest manicure and pedicure instruments since 1936. Packaging: Premium white box with a green bow.